Special guests at Carleton College! 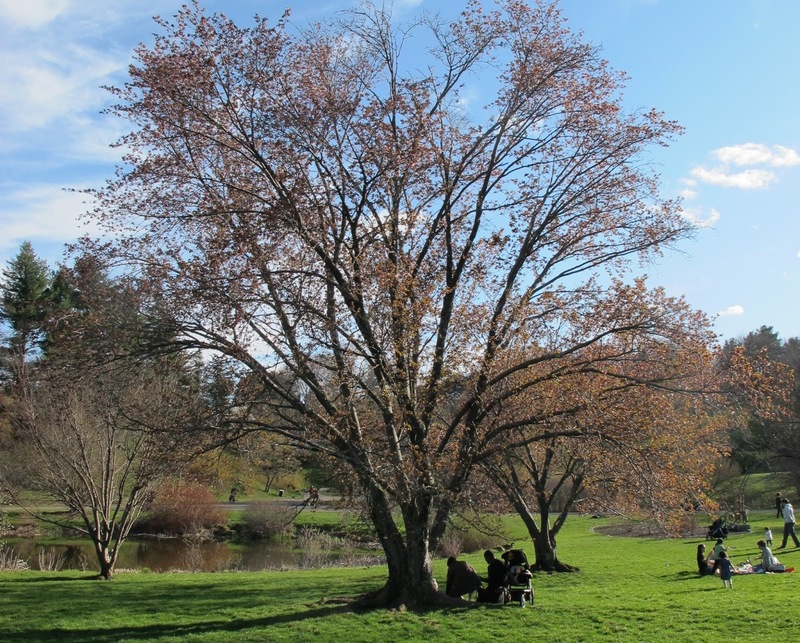 This spring, I am taking a quick detour from New England phenology to teach a Population Ecology course at Carleton College in Northfield, Minnesota. Last week was very exciting around here, because we had several special visitors: Pam Templer, Sam Roberts, and Dan and Erika Tallman! 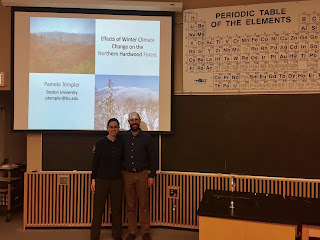 On Monday (4/10) Pam Templer visited from Boston University to meet with students, tour the ecosystem ecology experiments in Carleton’s Cowling Arboretum, and to talk about her research as part of the weekly Biology Seminar Series. 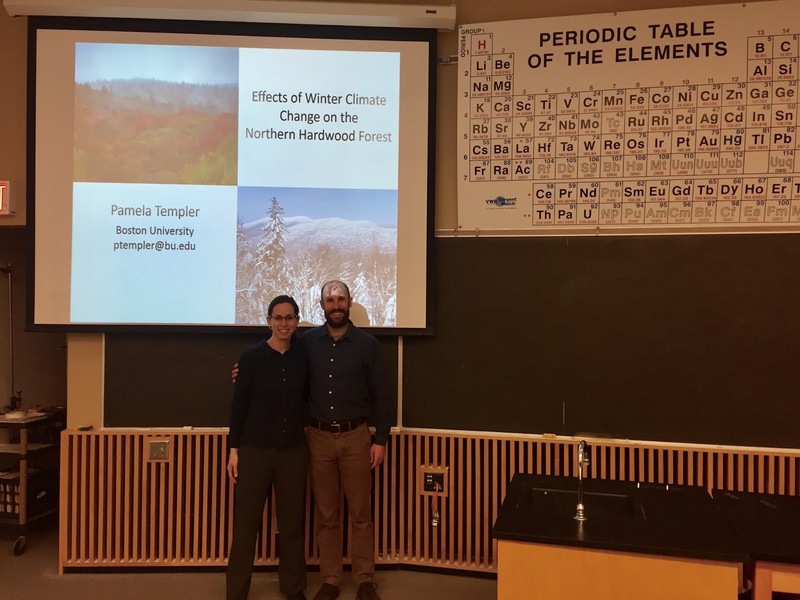 Pam gave a great seminar on the effects of winter climate change on N and C cycling, tree growth, and insect diversity in Northeast forests! Her talk was very well received, and students and faculty were all particularly interested in implications for the sugar maple industry. On Friday (4/14) Sam Roberts gave a talk to our Population Ecology class on his master’s research, using bird banding and nest searching data to measure demographic information of Saltmarsh and Seaside Sparrows in New Jersey, and using that information to model the population viability of those species over the next 50 years. He included many great photos and videos of his field methods. A video Sam Roberts took in the salt marsh, showing the difficulty of finding nests! Sam and the Pop Eco students talked through potential management strategies, like predator management programs, and he showed some examples of how to incorporate management scenarios into population models. This was a great application of the population growth models we've been using in class. Later that afternoon, the students got to see bird banding in action! Dan and Erika Tallman visited the Cowling Arboretum to demonstrate and discuss the bird banding process. In an hour and a half, we caught 16 Black-capped Chickadees, 3 Dark-eyed Juncos, 1 Downy Woodpecker, 3 House Finches, and 1 Red-bellied Woodpecker. The students learned about ageing and sexing birds, and even got to release them! A Carleton student releases a chickadee! Last week I traveled to Oregon’s Mt Hood for my first Smith Fellowship Retreat. Smith Post-Doctoral Fellows come together for three weeks each year from across the country to meet each other and participate in professional development workshops. 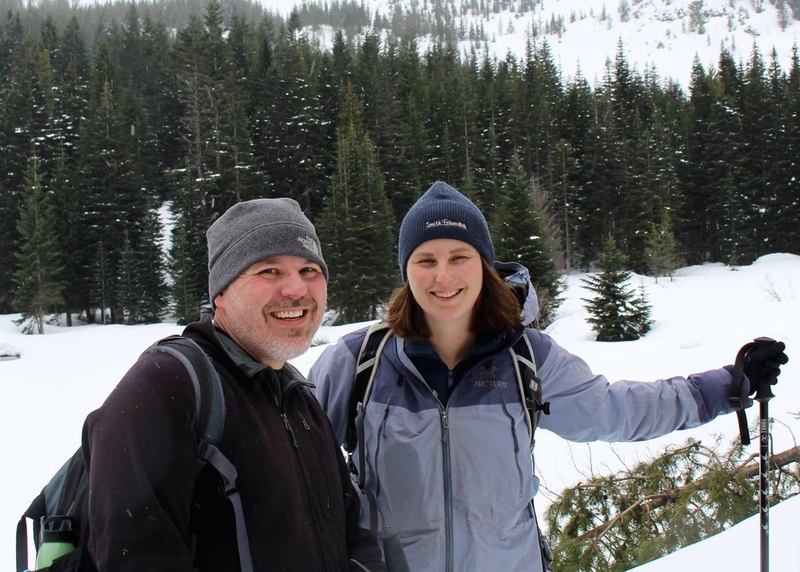 Abe Miller-Rushing, from Acadia National Park, and Jacquelyn Gill from University of Maine, who will be my mentors for the next two years, joined me in Oregon. We talked about the logistics of getting equipment into remote subalpine lakes, opportunities for public outreach, and scheduling for the summer. Abe and Caitlin at Mirror Lake below Mt Hood. The retreat was a wonderful opportunity to connect with other fellows and their mentors in other disciplines of conservation, and to recharge by the fire at Timberline Lodge. We also snow-shoed to Mirror Lake, ate delicious cookies, and drank Oregon beers. The schedule was both energizing and relaxing. I’m looking forward to my Smith Fellowship working with Abe and Jacquelyn to study paleo-vegetation dynamics above treeline in Maine! Cherry trees in flower are one of the most beautiful sights of spring. In Japan, Korea, Washington, D.C., and many other places, the cherry blossom season is a time for festivals and merriment. A warming climate is causing cherry trees to flower several weeks earlier in the spring, shifting the dates of the festivals as well. However, with an earlier flowering comes an increased risk of flowers being damaged by late season frosts, and a greatly diminished floral display. 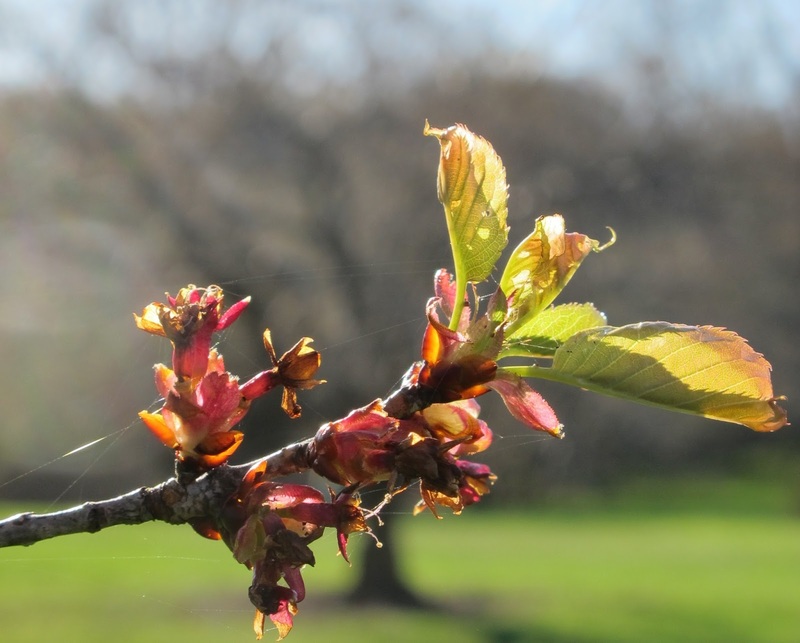 Also, a mild winter can result in outbreaks of insects that can further damage the flowers and young leaves. As a consequence, climate change has the potential to drastically decrease the abundance of cherry blossoms. An article on this topic, which extensively quotes Richard Primack, appeared in the German on-line magazine Deutsche Welle.